There are only a few beers that get my wife to smile, so when one of them returns, it is my duty to spread the word and the joy. That beer is Six Mile Bridge’s Blood Orange Wit. This year’s release is Saturday, April 6th at the taproom in Maryland Heights. Beer begins pouring at 2 p.m. They will have Locoz Tacoz food truck from 4-8 and beer specials. 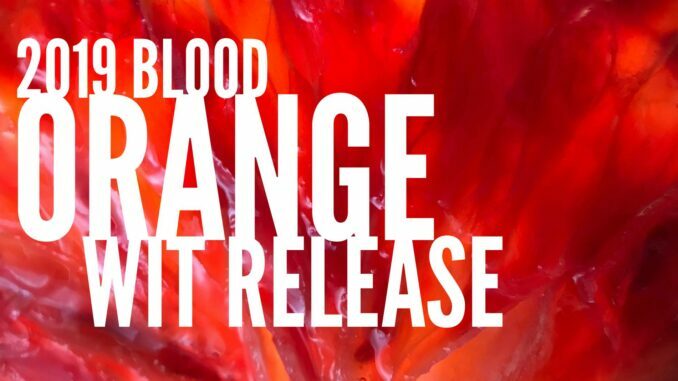 Blood Orange Wit (4.7 ABV) is made with real blood oranges and freshly ground coriander. It has a great flavor for Spring with fruity sweetness and a hint of spice. It’s a one of a kind beer that pairs very well with salads, BLTs, fresh fruit, and brunch. Another fruit-inspired beer Six Mile Bridge will be releasing soon is their Double Berry Berliner (4.8 ABV.) This one involves hundreds of pounds of blackberries and raspberries to create a bright pink beer that is both tart and sweet. Great for Spring, especially picnics with cheese plates!